András Máté studied mathematics and philosophy at the Eötvös University Budapest (Hungary). He began his research in logic and its history as an assistant of Imre Ruzsa. He is currently associated professor of logic at the Philosophical Institute of the Eötvös University. He made his PhD (CSc) at the Hungarian Academy of Sciences about Plato and Frege. 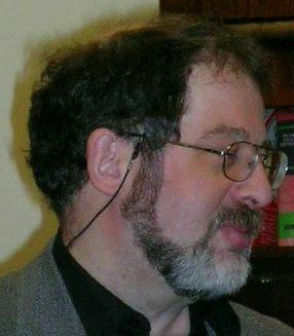 His research interests include history of logic and semantics (semantical ideas in Plato’s dialogues, Stoic logic, medieval semantics, Leibniz, Bolzano, Frege) and philosophy of mathematics (second-order logic as a framework, philosophical ideas of 20th century Hungarian mathematicians). He wrote four textbooks of logic and its history and several papers about different topics including even aesthetics of music in Hungarian, 14 papers in German and English mainly about the history of logic. He translated works by Plato, Frege, Tarski, Kneale and Kneale.